Plenary: Gartley Hall (GAR 103). Home base: ACCESS LOUNGE (DEAN Hall 5-6) incl. Dean Hall hallwa, and tents on the outside lawn – registration, office support, meals, refreshments, and a quick break or chat. Opens daily at 8 am and is staffed at all times during Institute. Break-out rooms: GAR 101, 102, 112, and DEAN 105, 202, 208, 210. TEAM: Interdisciplinary, multi-campus small group to inspire, connect, and break through barriers. All participants will be part of a TEAM for the duration of the institute. COACH: An institute organizer, SENCER (Science Education for New Civic Engagements and Responsibilities) expert, or experienced practitioner is assigned to each team to support their work sessions. POP-UP: With so many excellent resource people present, we organize on-demand pop-up sessions on relevant topics during team time. We hope that you will be able to join us in exploring and deconstructing the concept of conservation through Indigenous and Western knowledge systems and how they meet. This institute is about equipping us all to meet the grand challenges that impact our collective futures. The Grand Challenges Institute includes collaborative and individual work time to design practical, usable project, research and course designs. All participants will be contributors and have opportunities to network and make meaningful connections across communities, institutions, and disciplines. Our goals is to learn from and inspire innovative formal and informal education, including supporting the work of implementing and assessing new projects, and syllabi. Participants are expected to 1) attend & engage in all three days of the Institute; 2) design or improve a syllabus or educational project related to the theme of Conservation; and 3) integrate an active pedagogy and a learning outcomes assessment into the project or course created. There are three levels of participation for you to consider: General participant (no specific obligations, no stipend); Presenter (give a TED-style talk, present a poster, and/or lead a team or workshop); and/or Apply to become a GC18 Fellow. Fellows receive a $300 honorarium, and are both required to fulfill the expectations listed above and document the outcome of the work by submitting a syllabus or a detailed description and implementation plan for an educational project. Fellows will have opportunities to continue to work with a supportive, collaborative community of coaches and colleagues during the following year. There will be also be opportunities to present at local and national conferences. Presentations will be brief inspirational and informational talks or poster presentations focusing on conservation initiatives and engaging pedagogy. All sessions will convey the urgency of dealing with conservation issues in Hawaiʻi and globally, and the need for interdisciplinary research, learning, and collaboration across campuses and communities. The Grand Challenges Summer Institute on Conservation synergizes multiple approaches strengthening high-impact pedagogies teaching to important issues of our time. In addition to local and national discipline experts and practitioners, professional development opportunities are offered by leaders from the national and local Science Education for New Civic Engagements and Responsibilities (SENCER) initiatives, the UH System Office of Sustainability’s “Many Minds One University” initiative, the Kapiʻolani Service & Sustainability Learning Program, the UHM General Education Office, and the College of Social Sciences’ ACCESS Engagement Program. Completion certificates and letters of documentation are available upon request. 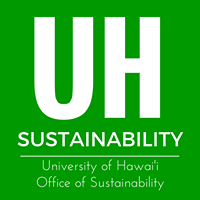 Participants will have an opportunity to obtain a UH Sustainability Focus intake (UHOS Sustainability Curriculum) and Mānoa faculty will be able to complete a SUST cross-listing application with trained staff. SPACE is limited to 50 participants. Participation cost is $650. Breakfast and lunch are included for all three days. The participation of informal educators and University of Hawaiʻi system faculty and graduate students is sponsored, but you are responsible for your own transportation and accommodation. For a limited number of neighbor-island participants, we can help with travel and lodging expenses. 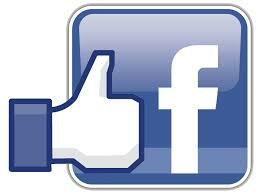 The Institute organizers will assist in finding accommodation, if needed. We have reserved a limited number of rooms at Lincoln Hall ($56/night). There will be some options for airport pick-up and home stay to help reduce costs. After completing the online application for participation, applicants will receive information about acceptance, granting of fellow- and scholarships, presentations, and payment instructions as needed. We are also pleased to offer an award for the best curriculum/project: a paid registration fee for participation in the SENCER Summer Institute in Santa Clara, Aug. 2-5, 2018 (value $850). ADDITIONAL INFORMATION and SCHOLARSHIP REQUESTS: Email sencer@hawaii.edu. SPONSORED by University of Hawaiʻi and SENCER/NCSCE entities and private donations and grants, primarily the Transcending Barriers to Success project. Seating is on a first-come, first-served basis. 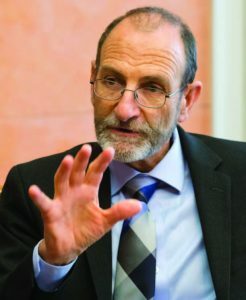 Chris Field is the Perry L. McCarty Director of the Stanford Woods Institute for the Environment and the Melvin and Joan Lane Professor for Interdisciplinary Environmental Studies at Stanford University. He is the author of more than 300 scientific publications on diverse topics surrounding climate change, including climate modeling, developing renewable energy systems, and involvement of community organizations to minimize climate-related risk. He sees fixing climate change in very much the same light as President Kennedy’s 1961 challenge to put a man on the moon within a decade, …“it’s not that a sacrifice was required … but … a country … committed to make some important discoveries and some important progress”. THEME: Exploring the meeting of wisdoms between indigenous ancestral knowledge systems and western empirical sciences. The 6th Annual Hawaiʻi Sustainability in Higher Education Summit#HSHE18 will convene from February 8-10, 2018, on Hawaiʻi Island. Delegations from all ten University of Hawaiʻi campuses gather to learn together from local practitioners, national subject matter experts, and each other. UH Mānoa: ACCESS LOUNGE, DEAN HALL 5-6, hosted by SENCER Hawaiʻi and the College of Social Sciences ACCESS Engagement and the UH Mānoa Sustainability Council. GC 18 Summer Institute in Session!